Sleek modern design awaits at Gulf Stream Views, a brand new oceanfront development. The townhomes designed by Richard Jones and built by DMR Construction Services are developed by NR Living Platinum, one of the leading luxury developers in the nation with over a decade in delivering the highest quality construction. Conveniently located between Gulf Stream and Ocean Ridge with the boutiques and eateries of Delray Beach & Palm Beach nearby via A1A, the four bedroom, four full and one-half bath townhouse offers European-style kitchen, luxurious master suite, rooftop terrace, private backyard with pool and summer kitchen with built-in grill, floor-to-ceiling impact windows, two-car garage and elevator. 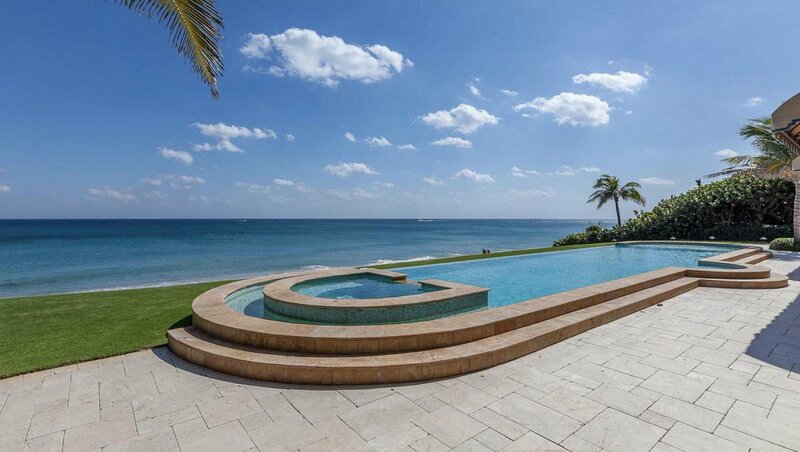 Live the South Florida Lifestyle at this private enclave of only 14 residences with ocean views and direct beach access! Enjoy pre-construction pricing on this luxury oceanfront development. Nestled in a private gated enclave of only 14 condominium townhomes, Gulf Stream Views is sure to please. 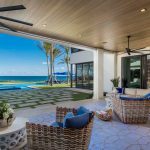 The modern architecture showcases the picturesque ocean views and features an open floor plan with three stories plus private rooftop terrace for enjoying outdoor entertaining and coastal breezes. 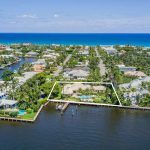 Ideally located along the coastline of Palm Beach County, Gulf Stream Views is a pleasant drive along scenic A1A to Delray Beach, Palm Beach, Boca Raton, Fort Lauderdale and all points in between. Travel is easy with several private jetports and three international airports nearby via Federal Highway or Interstate 95. Quality built with fine appointments and finishes, the contemporary townhouse will feature hardwood floors, 10-foot ceilings and floor-to-ceiling impact windows. The European-style kitchen offers a cook’s island, quartz counter tops with waterfall edges and designer high-end appliances. The kitchen is open to the large living room and dining area with a balcony and nearby powder room. The spacious master suite has a private balcony, walk-in closet and luxurious master bath with walk-in shower and separate tub. There are two additional guest bedrooms each with private bath and closet plus a first floor club room that can serve as the fourth bedroom/VIP suite with morning bar, walk-in closet and private bathroom. Outdoor entertaining and private retreats await with plenty of room for dining and lounging on the rooftop terrace with ocean vistas. 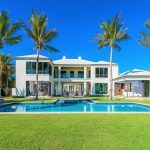 The private walled and tropical garden features a summer kitchen with built-in grill to enjoy entertaining by the heated salt water plunge pool. Gulf Stream Views residents have beach access via a private boardwalk with outdoor shower for year-round sun and fun. Additional features include private auto-court, two-car garage, private elevator that accesses each floor plus rooftop terrace, impact glass windows and doors, high-end hurricane construction protection and LED lighting throughout. Upgrades are available including enhanced Smart Home technology. Gulf Stream Views is a condominium townhome development that allows up to two pets and leasing with restrictions. 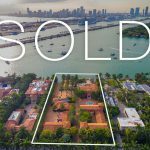 Gulf Stream Views represents a once-in-a-lifetime opportunity to live the luxury lifestyle in this private oceanfront enclave of quality built townhouses. Contact Nick Malinosky for more information about Gulf Stream Views’ exciting and brand new oceanfront townhouse at 11486 Old Ocean Blvd, Boynton Beach.